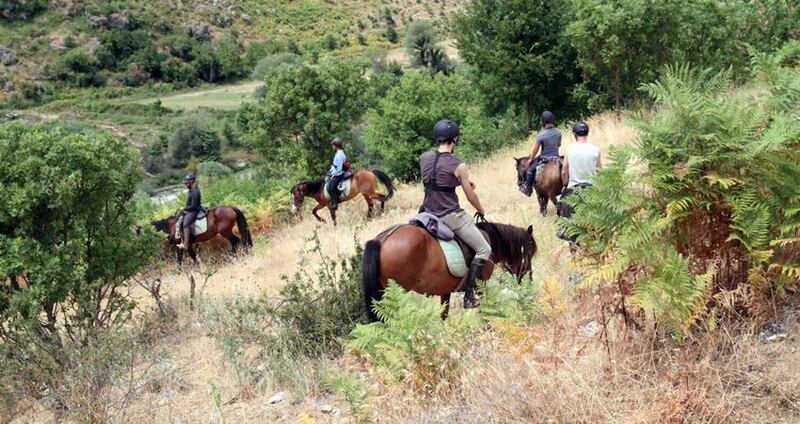 Our Fethiye Horse Riding Tour is the best, if you have an adventrous soul! 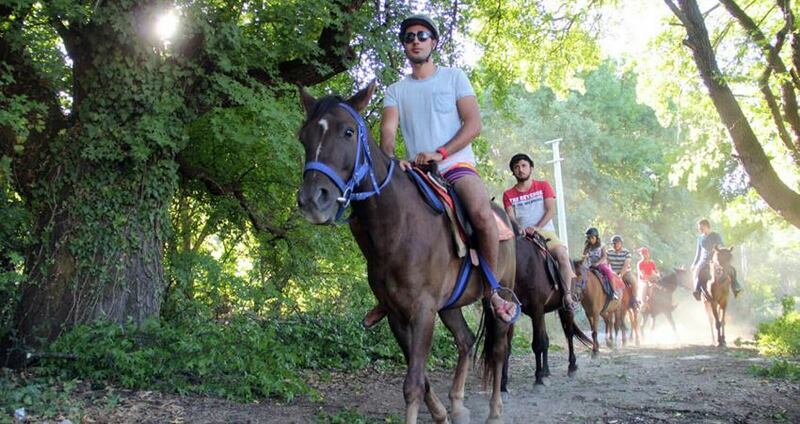 As in the good old days, you will spend sometime on a horseback, and you will experience nature at its heart. 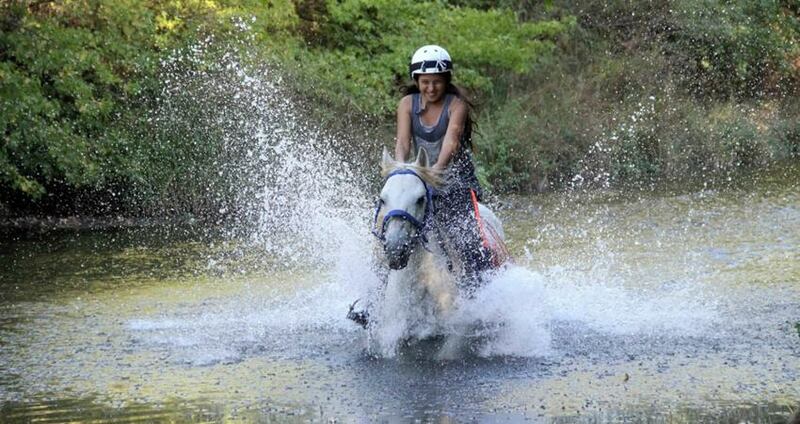 You will be amazed with the feeling of thrill while you are getting acquainted with the beautiful nature of Fethiye. 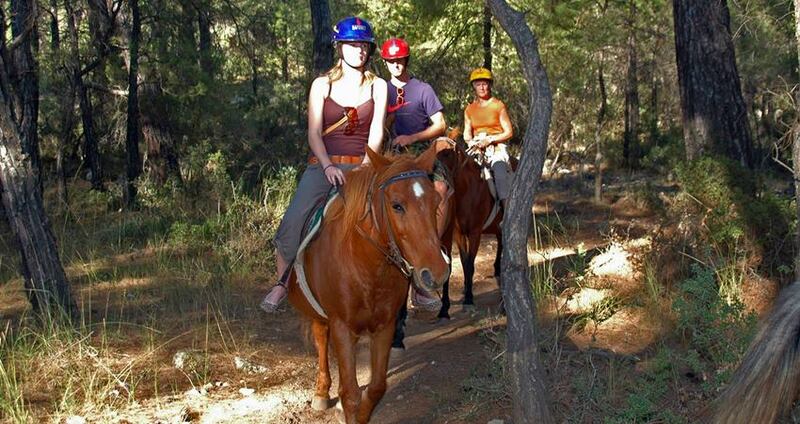 To join our Fethiye Horse Riding Tour, you do not need any experience in horse riding beforehand. Everyone who enjoys horses and doing sports can join us in our Fethiye Horse RidingTtour. The professional trainers of the ranch will explain everything to you before you mount on your horse, and they will be assisting you during the tours. Of course our experienced riders can ride freely, on condition that they inform us beforehand. In the ranch, a lot of friendly horses will welcome you. All of them are well-mannered and love humans, they love you more when you pet them. 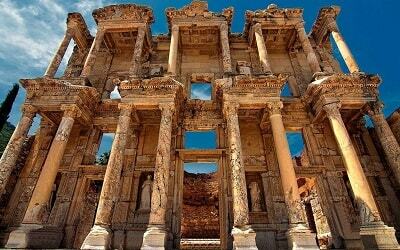 In this tour, our first concern is your safety, and we have chosen the best and the finest skillful staff members for it. 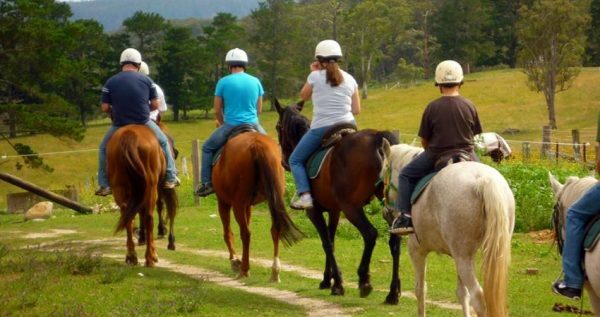 After getting instructed, you will mount on your horse, and we will start our tour. In the morning, we will take the route to Levissi, the Ghost Town. This small town was once a Greek town, abandoned by its original settlements. While wandering around the old houses with your horse, you will feel the mystic air surrounding you. Do not forget to take photos here, as this town is a living history. After following the same path, we will reach to our ranch. If you feel hungry when you get back, you can taste the delicious meals here! 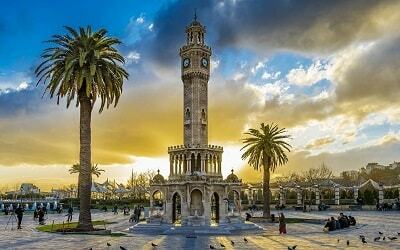 In the afternoon, we will head for Oludeniz route. 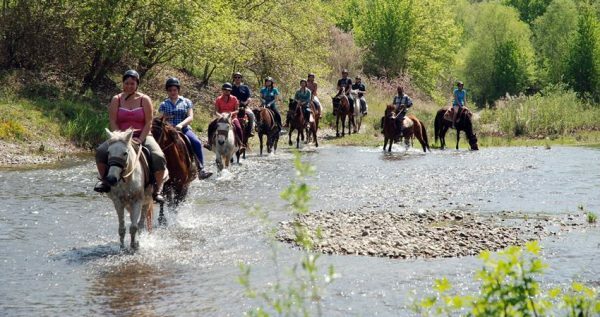 This part of the riding takes place among the emerald-green pine trees and ends at a hill to watch the topaz blue waters of Oludeniiz from the top. The view here will enchant you, it is so marvellous that you will never forget watching Oludeniz while you are riding a horse. Do not miss the chance of taking photos, as it will be a once-a-lifetime moment. 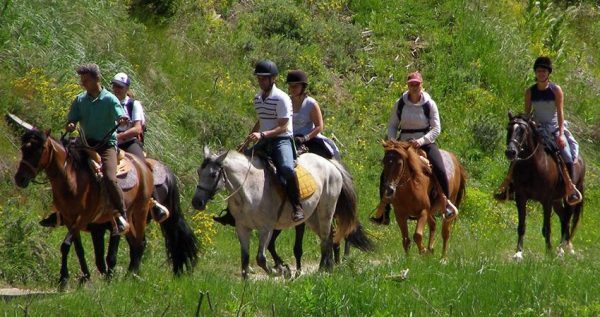 Fethiye Horse Riding Tour is a unique experince that you will never forget. In the morning, you will wander around the Ghost Town with your horse, and in the afternoon you will watch the magnificent Oludeniz from a hill. Those splendid moments will make amazing memories for you. If you feel adventrous today, come and join us! 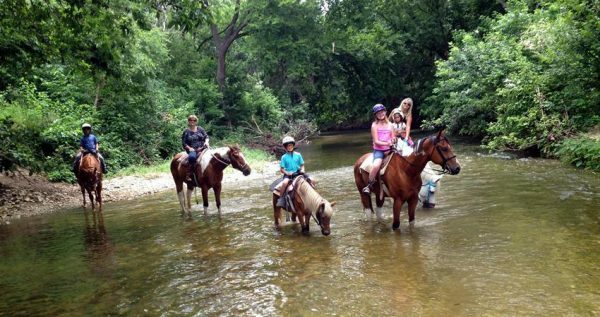 Children under 3 years old are not allowed to ride horses. Sun Creams, Comfortable Clothing (Capri Shorts & Some Old Shoes Recommended), Comfortable Shoes or Sneakers, Sun Glasses, Camera. Fethiye Camel Safari can be another good day for you. 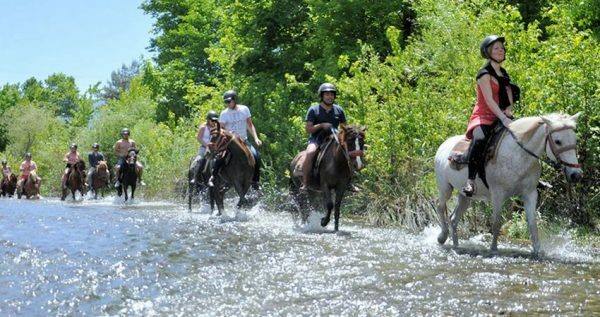 Excursion Mania is offering two different sessions for Fethiye Horse Safari at two different locations: 1) In the morning – Kayaköy (Levissi) 2) Ölüdeniz (Panoramic) Horse Riding. According to your booking time, our drivers will be waiting for you to take you to the horse ranch. Everything is thought beforehand to give you a comfortable journey. During the journey, please inform our guides or drivers if you need need anything or have a problem. They will be more than happy to help you. The horse ranch is managed by professionals. As your safety is our first priority, every precaution is taken. You will be informed about everything before you enter. You will be informed about what to do and what not to do while you are riding. All equipment is double checked in order to give you a safe and sound adventure. 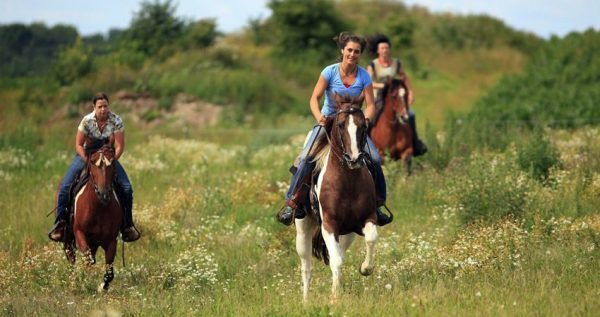 In the ranch, you will be welcomed by a lot of friendly horses. 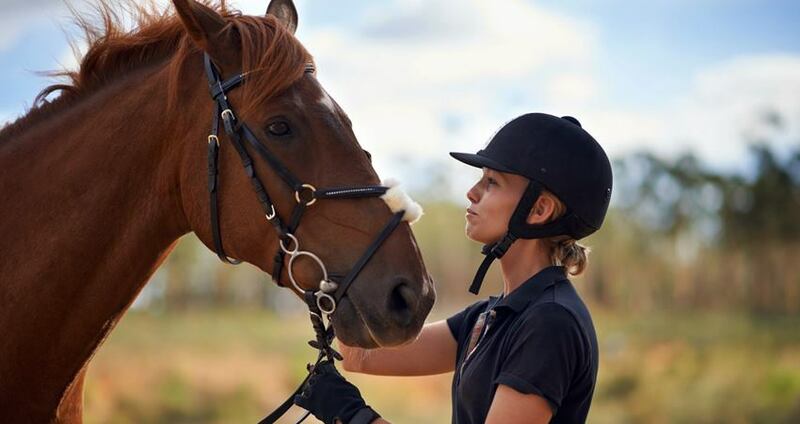 All of our horses are well-mannered and trained successfully. Every and each of them are friendly with humans, and if you pet them calmly, they love you more!! Do not forget to meet and pet your horse before you mount it. There are two different tours; one in the morning, one in the afternoon. 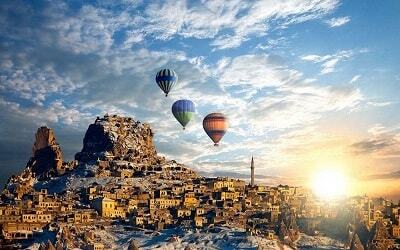 In the morning, we will head to the Greek ruins in Levissi/Kayakoy. You will explore the place on your horse. As it is a location with a great history, our guides will inform you while you are wandering. 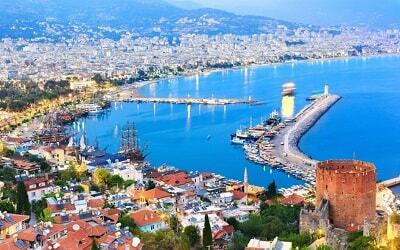 In the afternoon, we will take the route to the hill to see Oludeniz from the top. The miraculous scenery here will always be in your mind, and you will never forget the peaceful atmosphere here. 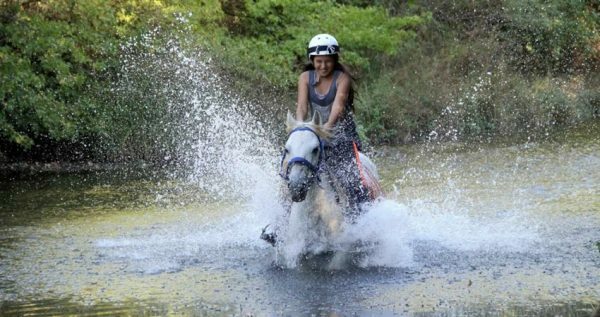 After completing your horse riding, we will head back to your hotels.